Honey Butter Creamy Skillet Corn recipe will be the most popular dish at Thanksgiving and Christmas! You can also make this for an easy weeknight side dish! 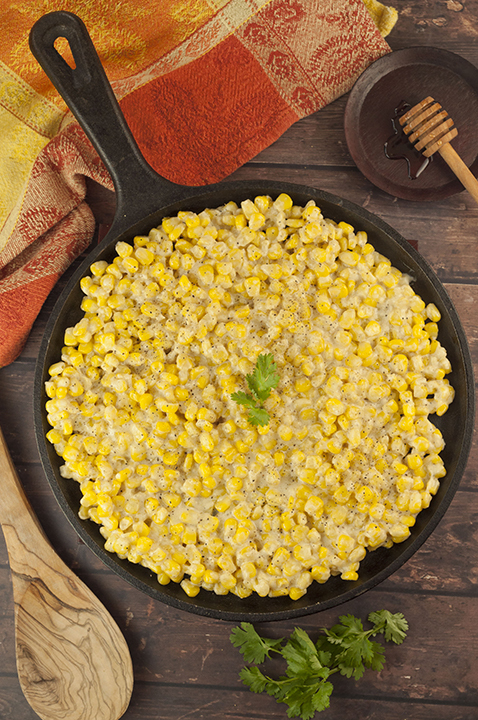 Be prepared for rave reviews when you make this Honey Butter Creamy Skillet Corn. This is not your traditional, boring corn dish. It has a little something special (it’s “so extra”) and is absolutely delicious. Bonus points that it only takes a little over ten minutes to make! The corn is really the star of the show in this dish and the shallots added amazing depth of flavor! It goes with so many meals and is incredibly versatile. As most of you know, I was in Iowa last month for a fun-filled 3 day trip with Iowa Corn. This entire month has been a whirlwind for me with a lot of traveling, but I have such fond memories from this trip that will last me a lifetime. I learned everything I could ever want to know and more about farming, how corn is grown and harvested, and how our everyday lives are built around corn-based products. I also learned about the misconceptions regarding GMOs which was very enlightening. Iowa farmers select their own seeds and sometimes choose GMO seeds that ultimately allow them to use less pesticides and weed killers. I walked away with so much knowledge and so many new friends. You can read more about my trip and everything I learned here! Feel free to use fresh corn off the cob for this Honey Butter Creamy Skillet Corn if that’s what you have on hand. What I love most about this side dish is that it uses frozen corn and I can just pull a bag out of the freezer and whip this up when I’m in need of a quick side dish to go with my main course. The frozen corn in this case tastes JUST as good! I made this corn again the other night and actually topped tacos with it. 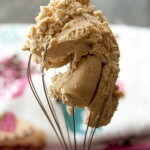 Just another great use for this deliciousness! 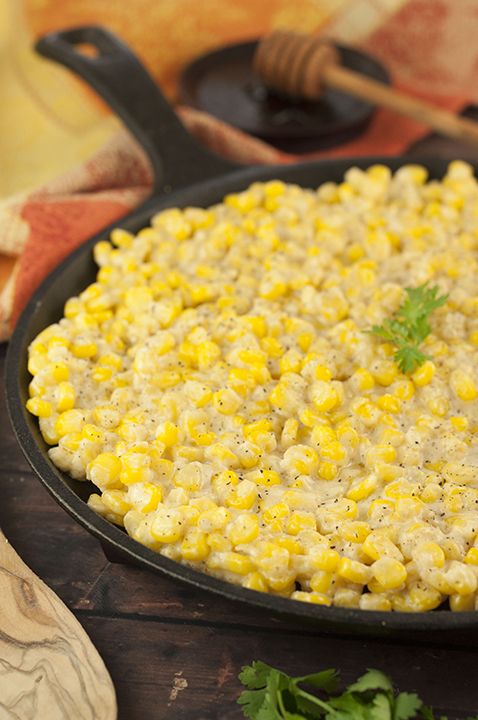 This skillet corn also makes holidays super easy. Simple is always best when you’re making 39949392 dishes all at once, am I right?! Time to eat! Old-Fashioned Cream Corn Casserole – this one is just like your Grandma used to make! Honey Butter Creamy Skillet Corn recipe will be the most popular dish at Thanksgiving, Christmas, or Easter! You can also make this for an easy weeknight side dish! Heat your skillet over medium heat. Melt the butter and honey together, being careful not to burn the butter. Once it is melted, add in the corn and shallots and cook for 5-8 minutes, stirring occasionally. 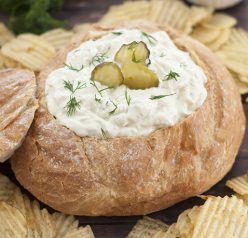 Mix in the cream cheese and cook until incorporated and creamy (4-6 minutes). Season with salt and pepper. Enjoy warm! Recipe source: adapted from allrecipes.com. I love Iowa corn without any frills (straight off the grill is best!) 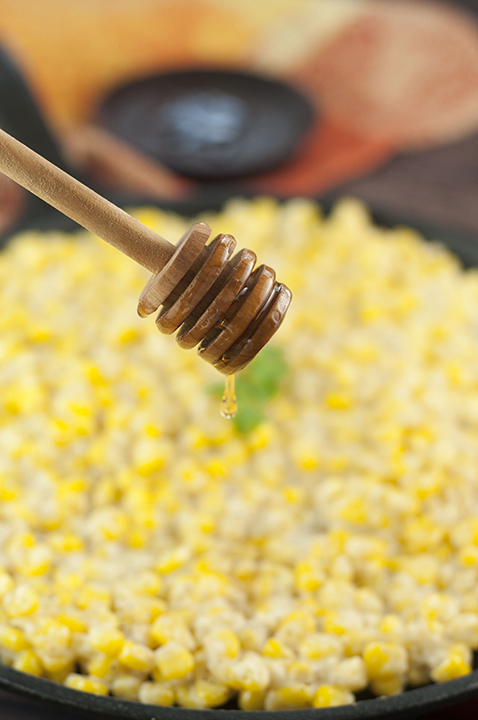 but if I had to add anything, this honey butter sounds like perfection. So jealous that you got to visit Iowa for this! I want to bring this to our Thanksgiving dinner! Oh, the honey butter touch sounds fabulous! Thank you so much. It sounds amazing. 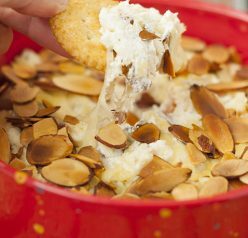 This will definitely be on the dinner menu for Thanksgiving and Christmas. Does the corn have to be defrosted first? Merry Christmas Mary!! So glad it was a hit!